August was one of the nastiest months I can remember: torrential rain; a hailstorm or two; cold, bitter winds; and mists. But we are accustomed to such weather in England. Lord Byron used to say that an English summer begins on July 31 and ends on Aug. 1. He called 1816 “the year without a summer.” He spent it gazing across Lake Geneva, watching the storms, with 18-year-old Mary Shelley. The lightening flickering across the lake inspired her Frankenstein, the tale of the man-made monster galvanized into life by electricity. Posted by honestclimate in Discussions, Temperature. Global warming: why cut one 3,000th of a degree? Britain’s efforts to reduce the speed of global warming will cost huge sums of money and have a pitifully tiny effect. 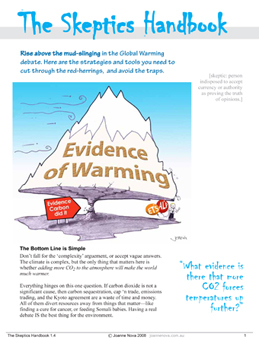 Global warming is seen everywhere as one of the most important issues. From the EU to the G8, leaders trip over one another to affirm their commitment to cutting CO2 to heal the world. What they do not often acknowledge – in part because it would lose them support – is that the solutions proffered are incredibly costly and will end up doing amazingly little good, even in a century’s time. This is the truly inconvenient truth of the politics of global warming. Dead pixels or new sunspecks (pore-ettes) ? I do. I know where the dead pixels are, and have labeled them below in the SOHO MDI image. 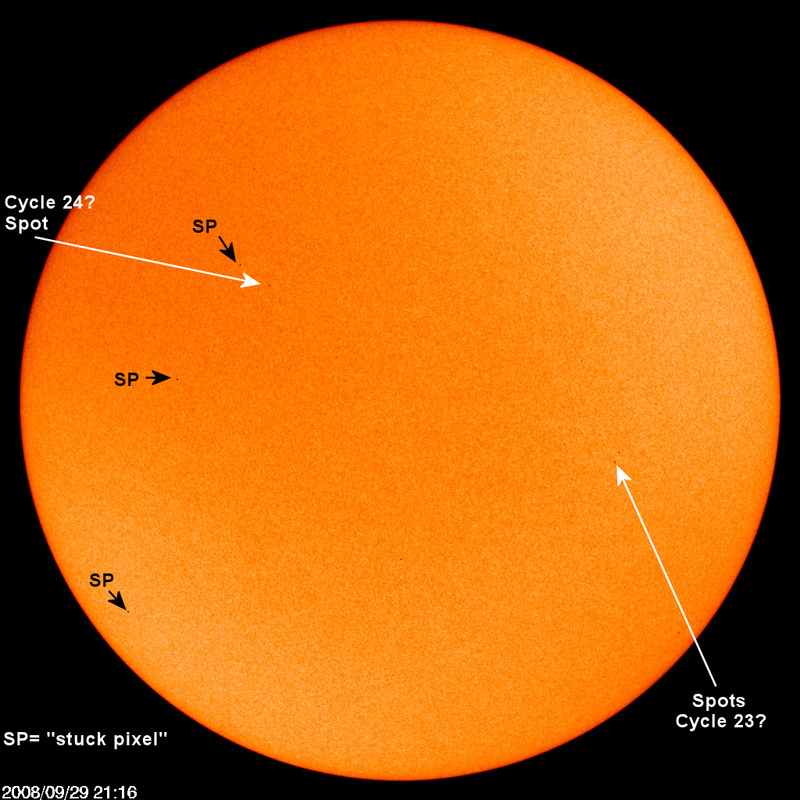 Note that there are two very small sunspecks, possibly soon to be sunspots, emerging on both sides of the equator. From the JOURNAL OF THE ECONOMIC SOCIETY OF AUSTRALIA (QUEENSLAND) INC.
Before human-caused global warming can become an economic problem, it first has to be identified by scientific study as a dangerous hazard for the planet, distinct from natural climate change. This notwithstanding, a number of distinguished economists have recently written compendious papers or reports on the issue, for example Nicholas Stern (2006) and William Nordhaus (2007); in Australia, Ross Garnaut is currently undertaking a similar analysis. 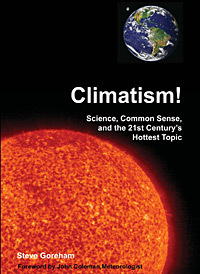 These persons, and many other public commentators and politicians as well, have indicated that they accept that there is a scientific consensus that dangerous, human-caused global warming is occurring, as set by the views and advice of the Intergovernmental Panel on Climate Change (IPCC). The IPCC is the United Nations body whose first chairman, John Houghton, wrote in 1994 that ‘unless we announce disasters, no one will listen’. 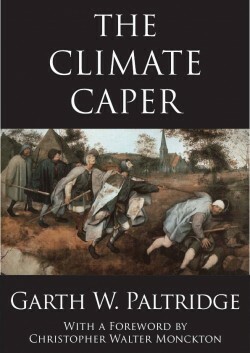 From that point forward, it was obvious that IPCC pronouncements needed to be subjected to independent critical analysis; in fact, the opposite has happened, and increasingly the world’s press and politicians have come to treat IPCC utterances as if they were scribed in stone by Moses. 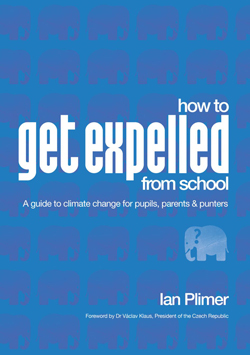 This is a reflection, first, of superb marketing by the IPCC and its supporting cast of influential environmental and scientific organisations; second, of strong media bias towards alarmist news stories in general, and global warming political correctness in particular; and, third, of a lack of legislators and senior bureaucrats possessed of a sound knowledge of even elementary science, coupled with a similar lack of science appreciation throughout the wider electorate – our societies thereby becoming vulnerable to what can be termed ‘frisbee science’, i.e. spin. 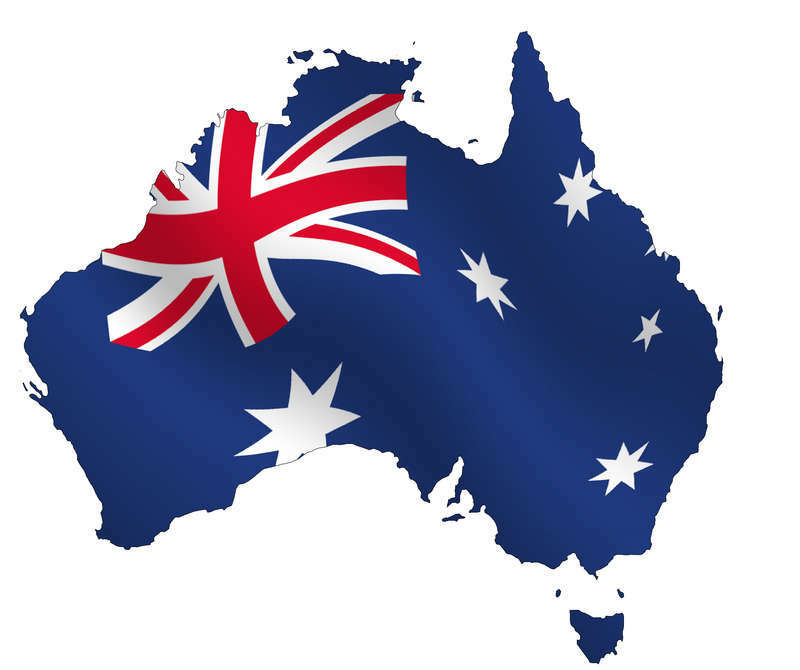 Australia’s largest recycling company has warned that the Government’s proposed emissions trading scheme would force it to immediately close two recycling and paper manufacturing facilities with the direct loss of 160 jobs. Visy, renowned as one of the nation’s greenest companies, has slammed the proposed scheme’s cost of $20 on a tonne of emissions, in its response to the Government’s emissions trading green paper. “The CPRS (Carbon Pollution Reduction Scheme) does not recognise the carbon benefits from recycling, leading to severe collateral impacts on Australia’s domestic recycling/remanufacturing industries. Hands Up! Here comes the Environmental Police! Posted by honestclimate in Global Cooling, humour. AUSTRALIANS have put a price on what they’re prepared to pay to help fight climate change — $10 extra a month on their electricity bill. AN Australian scientist who led the United Nations’ investigation of climate change has joined 15 of his colleagues in urging Prime Minister Kevin Rudd to cut carbon emissions by 25 per cent. And yet, global carbon emissions speed up, beyond IPCC projections, so where has the warming disappeared to? Now I’ve heard everything. Talk about your “Kyoto protocol”. The original source of this silliness comes from the city of Kyoto. In June, in a bid to reduce greenhouse gases and perhaps become a nationally designated “model environmental city,” the municipal government indicated it would request convenience stores to “voluntarily refrain” from staying open all night. You can read the complete story here in Japan Today. The worst part about this is the complete lack of understanding about where the major energy use is. Closing the store may result in some energy savings from lighting, but the main power use, refrigeration systems, and that Slushee machine, will still operate. 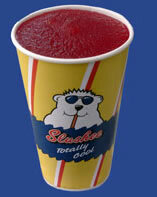 No more midnight Slushee! Maybe the real reason is the “exploitation of the polar bear” on the cup. Posted by honestclimate in Discussions, humour. Holy cow, the IPCC now wants churches to spread the global warming con! A few weeks ago, Dr Rajendra Pachauri, chair of the UN Intergovernmental Panel on Climate Change (IPCC), said people should have one meat-free day to cut greenhouse gas emissions. Now, Jean-Pascal van Ypersele, the vice-chairperson of the UN Intergovernmental Panel on Climate Change (IPCC), has said churches can contribute to reducing the impact of global warming by proposing new lifestyles. “The risks connected with climate change have dramatically increased since 2001. Nevertheless, there is no fatalistic view of the future,” said Professor Jean-Pascal van Ypersele of the U.N.’s Intergovernmental Panel on Climate Change. “There are ways to reduce emissions, and churches can contribute to solutions by proposing changes in lifestyle and behaviour patterns,” said Ypersele, a member of the institute of astronomy and geophysics at the Catholic University of Louvain in Belgium. Ypersele was addressing the 24-28 September assembly of the European Christian Environmental Network, which gathers environmental activists and groups, and is linked to the Conference of European Churches. Does Jean-Pascal van Ypersele ignore the fact that there has been no global warming since 1998? And no, I do not have my head in the sand! It has been proposed many times, that climate change is the new religion, personally I think it is more like a cult! Forgive me for I have emitted! If you wanna stop "global warming" then don't eat me! 1.) First things first as the globe has not warmed for 10 years, we no longer use the term global warming, from now on use the term climate change. 2.) Defend the hockey stick at all costs, the fact that it contained a Y2K bug and that you could put in numbers from a telephone book to get the hockey stick is irrelevant, the hockey stick is not broken. 3.) There is nothing climate change can’t do, this includes heat waves, storms, cyclones, floods, droughts etc. 4.) Refer to record cold temperatures as simply “weather”. The word snow is now strictly verboten, and will be referred to as “soft hail” in the future. 5.) Never, ever debate the other side as this will cause embarrassment, as seen in the Littlemore vs Monckton debate. 6.) Refuse to peer review or publish any papers by the skeptics, we don’t want the public to think for themselves. Unfortunately the internet is one area in which skeptics have had a voice. We cannot allow this to continue. Al Gore, the inventor of the internet, will be deleting all such websites. Judging by the volume of these sorts of vile websites, this is expected to be completed by the year 2020. 7.) If a colleague questions the commandments, remove all their funding or even better get them fired. 8.) The best form of defence is attack. Be sure to refer to all skeptics as deluded, Holocaust deniers, having their heads in the sand etc. 9.) Accuse all skeptics of being in the pay of big oil and never ever admit that the climate change industry is a billion dollar industry. 10.) Spend everyday worshipping the Goreacle, make sure to watch An Inconvenient Truth at least once a day to ensure you keep the faith. 11.) Blame Natural events, like La Nina, for “masking” the warming, wait……. scrap that. Al Gore, James Hansen, Michael Mann, Stephen Schneider, Rajendra Pachauri, Jean-Pascal van Ypersele, Tim Flannery, David Karoly, Barry Brooks, Kevin Rudd, Penny Wong and Tony Jones. Don't you dare disagree with us!